While teenagers of the 1960s were anointing new musical heroes, their parents were being drawn across the generation gap by orchestrated, instrumental versions of popular hits. A few, such as the Chess-based Soulful Strings, were deep artistic statements, but many were easy listening cash-ins by faceless studio assemblies. Stu Phillips’ work in this area lies somewhere in between. Phillips is a highly-regarded composer of film and television scores, and as the creator of the Hollyridge Strings, he charted a string-laden cover of the Beatles’ “All My Loving” in 1964. Additional Beatles cover albums followed, intertwined with LPs dedicated to the Four Seasons, Beach Boys, Elvis Presley and in 1967, the Monkees. 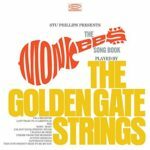 Interestingly, this is not the only string-based album of orchestrated Monkees covers, as RCA’s Living Strings released I’m a Believer and Other Hits in 1966, and Tower (a subsidiary of Capitol) released the Manhattan Strings’ Play Instrumental Versions Of Hits Made Famous By The Monkees in 1967. What makes this album unique among the three, besides Phillips’ talent as an arranger, is his connection to the Monkees as the composer of the television show’s background music. The twelve tracks, drawing titles from the group’s first two albums, are all carefully arranged, conducted and played, with bowed and pizzicato strings, forlorn brass and other instruments taking turns on the vocal lines. Legendary songwriters Barry Mann and Cynthia Weil appeared in San Francisco for a conversation with the creative team of Beautiful: The Carole King Musical. Mann wowed the audience with a solo piano rendition of “On Broadway,” the 1963 hit he and Weil had with the Drifters, and again in 1978 with George Benson. Like many bands of the early rock ‘n’ roll era, their catalog has been compressed by oldies radio, film soundtracks and greatest hits CDs to a handful singles that had the fortune to spring from the Brill Building and cross over to the pop charts. Starting with 1959’s “There Goes My Baby,” and continuing through early ’60s with “This Magic Moment,” “Save the Last Dance for Me,” “Some Kind of Wonderful,” “Up on the Roof,” “On Broadway” and “Under the Boardwalk,” the Drifters carved what would become their most long-lasting image These hits represent the tenures of Ben E. King and Rudy Lewis, and the return of Johnny Moore after his hitch in the Army; wthey don’t tell are the upbeat R&B sides that the group waxed throughout their career, and especially in their early years with Clyde McPhatter out front. Bear Family’s 32-track lineup samples tracks from 1953’s unreleased-at-the-time “Let the Boogie Woogie Roll” through 1959’s “Hey Senorita” and “Baltimore” (the latter pair featuring the distinctive sax of King Curtis), and a pair of stereo recordings from the 62/63, “I Feel Good All Over” and “If You Don’t Come Back.” Also included are spin-offs from Bill Pinkey’s Flyers (“On Bended Knee”) and Turks (“After the Hop” and “Sally’s Got a Sister”), and alternate takes of “Bip Bam,” “Such a Night” and “Drop Drop.” None of this is likely to be new to Drifters afficionados, but those who only know the early ’60s crossover ballads will be bowled over by the incendiary power this group sustained over the half-dozen lead vocalists (and countless studio musicians) featured here. Eleven early sides showcase how Clyde McPhatter brought his gospel fire to secular sides, starting with the group’s very first session in June, 1953. The initial lineup pulled in a quartet of singers from McPhatter’s church group, and though his lead on “Let the Boogie Woogie Roll” pays off on the promise which lead to his signing, the Mount Lebanon Singers are just a touch too smooth to really bust loose. Atlantic prevailed upon McPhatter to develop a new lineup, and the reformed quintet hit the top of the R&B chart with their very first single, “Money Honey.” The same August, 1953 session found the lineup re-recording “Let the Boogie Woogie Roll,” and the differences — a slightly faster tempo, a bigger push from the piano, harder swinging sax and a more emphatic lead vocal — add up to something big. The core of the new lineup — McPhatter, Bill Pinkney, Andrew Thrasher and Gerhart Thrasher — defined the group’s first golden era, laying down mid-tempo tunes with Latin accents, bluesy doo-wop, upbeat R&B and proto-rock ‘n’ roll. McPhatter’s high tenor leads were filled with excitement, and the backing harmonies of his fellow Drifters were equally sophisticated and highly-charged. McPhatter’s draft notice and the lure of a solo career led to Bill Pinkney’s cool lead on 1955’s “No Sweet Lovin’,” and subsequently to a number of singles featuring Johnny Moore, including “Ruby Baby” (eight years before Dion’s bigger hit with the same title), “I Gotta Get Myself a Woman” and a bouncy cover of Terry Noland’s “Hypnotized” that actually beat the writer’s rockabilly version to market. The group’s financial structure (which rewarded their manager more than the singers) led to numerous defections, several of which resulted in singles from splinter groups such as the Flyers’ catchy “On Bended Knee,” and the Turks’ slapback-tinged sides from Sun’s Memphis studio. After Moore was drafted, the spotlight fell to Bobby Hendricks, who helped gain the Drifters notice on the pop charts with a superb recording of Lieber & Stoller’s “Drop Drop,” offered here in its released single version and a stereo alternate take. 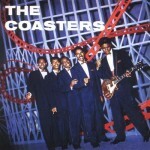 Hendricks also sang lead on the rock ‘n’ roll “Itchy Twitchy Feeling,” borrowing members of the Coasters to fill out the vocal lineup. The group’s second golden age began with the arrival of Ben E. King and his fellow Five Crowns, and though this lineup’s crossover success was based primarily on uptown BrillBuilding ballads, King also sang grittier R&B material like “Hey Senorita” and “Baltimore.” King’s departure led to Rudy Lewis’ arrival, and continued success on the pop charts. Johnny Moore returned to the Drifters after his discharge from the services, scoring several more hits, waxing soulful sides like “If You Don’t Come Back” and leading the group through the mid-70s. Blue Cat was a subsidiary of the Red Bird label started in 1964 by legendary Brill Building songwriters Jerry Leiber and Mike Stoller. The parent label cashed in on the girl group craze with the Dixie Cups and Shangri-Las, but Blue Cat also cracked the Top 10 with the label’s second single, “The Boy from New York City.” Written by saxophonist John T. Taylor, the song had a jazzy swing that gave the then-recently rechristened Ad Libs a distinct sound. The New Jersey quintet featured Mary Ann Thomas singing lead and a smooth male quartet providing backing vocals. A second single, “He Ain’t No Angel,” was penned by Red Bird’s house team of Jeff Barry and Ellie Greenwich (and previously waxed by the Lovejoys for Tiger), but label turmoil stalled the single on the bottom rungs of the Top 100. Two more singles, “On the Corner” and “I’m Just a Down Home Girl,” fared even worse and led to the group’s departure from Blue Cat. 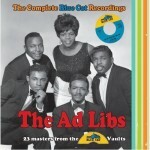 Judging solely by the charts, the Ad Libs were a four-single, one-hit wonder; but as this twenty-three track collection shows, there was a lot more to their catalog than found broad public acclaim. In addition to the group’s four A’s and B’s, Real Gone’s gathered a clutch of unreleased tracks, alternate versions and a cappella demos that give full testimony to the group’s vocal talent and their production team’s ability to craft memorable melodic and instrumental hooks. The B-sides are anything but throwaways, with “Kicked Around” sporting an incredible jazz bass line, sly organ bed and maddeningly memorable triangle figure behind Thomas’ thirsty flower vocal. “Ask Anybody” is a dance tune touched by doo-wop, blues and gospel, and the male leads on “Oo-Wee Oh Me Oh My” and “Johnny My Boy” show the group had more than one vocalist capable of holding the spotlight. The finished track “The Slime” went unreleased, and, sadly, was deprived of the opportunity to ignite a worldwide dance craze based on melting like butter down in the gutter. The set’s other unreleased master, “You’ll Always Be in Style,” adds a touch of Latin soul. The set’s most arresting find, however, are seven mono a cappella demos that starkly highlight the group’s melding of doo-wop and vocal jazz. In addition to demos of singles sides (including a take on “The Boy from New York City” that shows the hit single’s more relaxed tempo to have been the right choice), four additional titles are featured, including the holiday-themed “Santa’s on His Way.” The five alternate takes include a version of “The Boy from New York City” with a distractingly present trumpet riff, and the disc is filled out with seven tracking sessions that provide a rare peak inside the studio. Demos are an industry currency that fans don’t often get to hear. They’re an audio notebook in which songwriters sketch their vision, either for themselves, or more intriguingly, for those to whom they wish to sell songs. 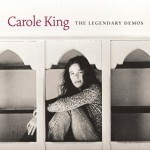 In the case of a singer-songwriter like Carole King, there are both kinds of entries in her notebooks – writer’s demos that were inclined towards the sound and style of a potential client and initial renderings of songs that King would sing herself, including five tunes written for her 1971 breakthrough, Tapestry, and another, “Like Little Children,” written in the mid-60s but recorded 30 years later for the film Crazy in Alabama. An earlier, unauthorized, volume of King’s demos and early solo recordings, Brill Buliding Legends: The Right Girl, gave a glimpse into her years as a Brill Building songwriter. But that volume fell short of its full promise, by including demos for songs that were never commercially recorded or never broke on the charts. Though interesting in their own right, these lesser works said more about the hard work that goes into getting a hit single than they did about the development of King’s best-known titles. Not so with this authorized volume of King demos, which not only offers up a few key Brill Building-era demos, but extends into her solo work as a successful performer. The three major Brill-era hits included here in demo form are the Monkees’ “Pleasant Valley Sunday,” Bobby Vee’s “Take Good Care of My Baby” and the Everly Brothers’ “Crying in the Rain.” The first is surprisingly different from the hit single, with King’s folk-rock demo more wistful and forgiving than the skeptical and mocking tone of the Monkees take. 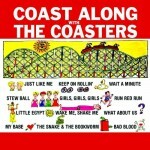 The second, on the other hand, seems to anticipate Bobby Vee’s style, and though the single is more fully orchestrated, the mood and hooks were all there in the demo. Others, such as “(You Make Me Feel Like) A Natural Woman,” reveal their foundations – in this case, the gospel chords of King’s piano and the freedom of her vocals – even more clearly in these stripped down versions. After decades of uneven reissues – dribs and drabs in the U.S. and abroad – Phil Spector’s catalog is finally being cross-licensed for reissue. The first break came with the catalog’s owner, ABKCO, issuing the Back to Mono set in 1991; but the larger breakthrough has been the licensing to Universal and Sony/Legacy that’s resulted in the Phil Spector Collection and a set of artist compilations on the Crystals, Ronettes and Bob B. Soxx and the Blue Jeans issued earlier this year. That licensing is now paying additional dividends with the release of Phil Spector Presents the Philles Album Collection and this new 34-track Phil Spector collection. Note that this 2-CD set is a Phil Spector volume rather than one dedicated solely to his years with Philles. The set opens with pre-Philles sides from the Teddy Bears (Spector’s first #1), Ray Peterson, Ben E. King, Curtis Lee, Gene Pitney and the Paris Sisters. The tour through his hits at Philles includes The Crystals, Bob B. Soxx and the Blue Jeans, Darlene Love, the Ronettes, Righteous Brothers, and Ike and Tina Turner. Outside of Philles is a cover of the Beatles’ “Hold Me Tight” that mixes ‘50s doo-wop singing with Spector’s evolving production style, and Spector’s brilliant original “Black Pearl,” by Sonny Charles and the Checkmates. The latter suggested a continuing run as a dominant auteur in the ‘70s, but it didn’t go that way. Legacy’s done a fine job of cross-licensing material from K-Tel, Universal, Warner, EMI and others to pull together a compelling picture of Spector’s hit singles. Much like the Cameo-Parkway catalog, Phil Spector’s seminal records of the 1960s are only recently starting to see the reissues they deserve. For years they were reissued in dribs and drabs – greatest hits packages repeating the same chart entries, hard-to-find vinyl albums from the UK leaking out stereo mixes, reissues of the Christmas album, and so on. The 1991 box set Back to Mono and the more recent Phil Spector Collection each dug more deeply into the catalog, but there was still much to be done. With Sony’s Legacy division having obtained reissue rights, 2011 kicked off with anthologies of the Ronettes, Crystals, Darlene Love and Spector’s other hit productions. The reissues now continue with this box set of six original Philles albums, packaged in reproduction mini-LP sleeves. Among the albums are three by the Crystals (although, as will be seen, they hold little more than one album’s worth of original material), one each by the Ronettes and Bob B. Soxx & the Blue Jeans, and a 1963 collection of label hits. Philles, like the pop music industry of its time, was focused on singles, with albums being little more than promotional afterthoughts. These albums were built around existing singles, and filled out with previously released material and album sides. Though some of the album material failed to match the brilliance of the hits, and the productions weren’t always as lavish, neither were the tracks often throwaway filler. The Philles singles pipeline was well-stocked through these years, and otherwise hit-worthy tracks simply couldn’t find room in the release schedule. The set’s designated filler is disc seven’s collection of instrumental B-sides; but even here you get the Wrecking Crew in their prime. The box kicks off with PHLP-4000, The Crystals Twist Uptown from 1962, which opens with the group’s second hit, Mann & Weil’s thrilling urban love song, “Uptown.” Their first hit, the divine “There’s No Other (Like My Baby),” is here too, but it’s the album tracks that are likely to be new to many listeners. Spector’s co-write with Doc Pomus, “Another Country – Another World,” puts a fresh spin on an outcast love by replacing class separation with a cultural divide. Several of the songs, including “Oh Yeah, Maybe Baby” (featuring Patsy Wright on lead vocal) and “What a Nice Way to Turn Seventeen,” feel the pull of ‘50s doo-wop and earlier girl groups like the Chantels, but the swirling strings, clacking castanets and underlying baion beats mark these as Spector’s. The album take of “On Broadway” predates the Drifters hit, and the group’s cover of “Gee Whiz” (retitled “Gee Whiz Look at His Eyes (Twist)”) followed Carla Thomas’ original by a year. The group’s third album, PHLP-4003 The Crystals Sing The Greatest Hits, Vol. 1 isn’t entirely a Crystals album. It includes only one new Crystals recording, 1963’s “Da Doo Ron Ron” (featuring Lala Brooks on lead vocal) and fills out the track list with repeats from the group’s first two albums, the leftover “Look in My Eyes”, and four dance-themed titles (three covered from the Cameo-Parkway catalog: “The Wah Watusi,” “Mashed Potato Time” and “The Twist”) sung by the Ronettes. The latter had yet to release anything on Philles, and these covers weren’t repeated on Presenting the Fabulous Ronettes Featuring Veronica. Still, with the Crystal’s second album having mostly repeated their first, and their third cherry-picking from the first two, Spector showed his allegiance to the single as his ultimate format, as well as his savvy in picking the pockets of unsuspecting record buyers. Philles’ third album, PHLP-4002 Zip-A-Dee-Doo-Dah, was dedicated to Bob B. Soxx and the Blue Jeans, a group that had three hit singles. Two of the hits are here, and the third (“Not Too Young to Get Married”) is on disc five of this set, Philles Records Presents Today’s Hits. Bob B. Soxx was vocalist Bobby Sheen, who was supposed to be backed by Darlene Love and her fellow Blossom, Fanita James. But once they began to record, Spector had Love step to the front and provide the lead vocals for everything but “Dear (Here Comes My Baby)” and the bluesy “Everything’s Gonna Be All Right.” The album tracks generally haven’t the energy of the singles, with album filler like “White Cliffs of Dover” trying, but mostly failing to capture the magic of “Zip-A-Dee-Doo-Dah.” The one real discovery, aside from Sheen’s two tracks, is the funky Jackie DeShannon tune “I Shook the World.” The album closes with the instrumental B-side “Dr. Kaplan’s Office,” suggesting that Spector lost interest before producing a full album of twelve tracks. The Ronettes only full-length album, PHLP-4006 Presenting the Fabulous Ronettes Featuring Veronica, was issued in 1964 and collected their five biggest hits, “Be My Baby,” “Baby, I Love You,” “(The Best Part Of) Breakin’ Up,” “Do I Love You?” and “Walking in the Rain.” Also included was their earlier recording of “So Young,” credited at that time to Veronica, a pair of non-charting singles (“How Does it Feel?” and “When I Saw You”) and four album tracks (“I Wonder,” “What’d I Say,” “You Baby,” and “Chapel of Love,” the latter written for the group and recorded the year before the Dixie Cups had a hit, but not issued as a single). The album peaked at #96, and though the group would release excellent singles in 1965 and 1966 (and record many that Spector withheld, including “Girls Can Tell” and “Paradise”), their star had peaked. The album, never before officially reissued on CD in its original form, continues to be a collector’s item, and is presented here, like all tracks in this box, in mono. The fifth disc in this collection, PHLP-4004 Philles Records Presents Today’s Hits, repeats six tracks from the Crystals’, Ronettes’ and Bob. Soxx and the Blue Jeans’ albums, but fills in six more Philles hits. Chief among them is the Crystals’ “Then He Kissed Me” and a pair of favorites by Darlene Love (“Wait ‘Til My Bobby Gets Home” and “(Today I Met) The Boy I’m Gonna Marry”), but also essential is Bob B. Soxx and the Blue Jeans’ third hit (“Why Do Lovers Break Each Other’s Hearts”), Darlene Love’s “Playing for Keeps” and the Alley Cats’ energetic doo-wop “Puddin ‘n’ Tain,” featuring Bobby (“Soxx”) Sheen on high-tenor. The added tracks flesh out the Philles picture, and the repeated tracks provide further evidence of albums being marketing items rather than artistic statements. The last disc in this collection, credited to The Phil Spector Wall of Sound Orchestra, and titled Phil’s Flipsides, presents the rarest material. The seventeen B-sides are instrumental flipsides of Spector hits, duly purposed to be cheap to produce, and to keep DJs focused on the A-sides. These are a mix of backing tracks and two-minute jams by Spector’s assembled workforce, name-checking Wrecking Crew stars (and Spector’s psychiatrist and first wife) in the song titles. In addition to the pop sounds you’d expect from Spector’s band, there are some fine jazz and blues workouts, with sax, piano and guitar stretching out on lead and Julius Wechter’s vibraphone adding atmosphere. Spector’s instrumental B’s for the short-lived Phil Spector label (“Larry L.” and “Chubby Danny D”) are included, but contemporaneous flips on Annette (including “Beatle Blues”) and Shirley are omitted. Each of the albums clock in at roughly 30 minutes, suggesting these could have been doubled-up, but it’s hard to fault Legacy’s artistic decision to reissue each in their original form in mini-LP sleeves. Given U.S. royalty laws (which charge per-track, rather than per-album), two-fers wouldn’t necessarily have cost any less anyway. There’s one album missing from Philles initial run, A Christmas Gift for You from Phil Spector, which has been reissued several times, most recently in 2009. The tail-end of Philles album releases, including three from the Righteous Brothers, one from Lenny Bruce, and the aborted 1966 release of Ike & Tina Turner’s River Deep – Mountain High await a second box. The Turner title was issued in 1969 by A&M and reissued earlier this year by Hip-O Select. This represents six of Philles’ first seven albums (the seventh, A Christmas Gift for You, has been reissued separately and as part of box sets several times), and includes numerous non-hit album tracks that have not been included on standard Spector anthologies. The bonus disc provides sixteen rare B-sides that Spector used to pad his hit singles (and, with no commercial appeal, to ensure jocks stuck to the A-side). 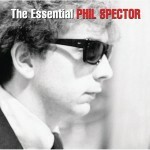 On the same day, a two-CD hits collection, The Essential Phil Spector, will be released. 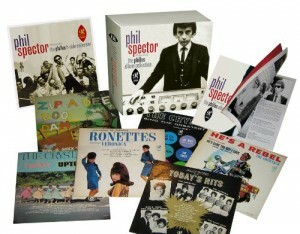 You can pre-order the box set at www.philspector.com and Amazon.com, or find it through standard retail on October 18th. Check back here for a review in October!